The Speckled Sparrow: Getting Ready for Paperific! I know I promised more Sale-A-Bration cards but I had to show you some of my creations I am getting ready to take to Paperific. I have been busy making lots of exciting new things. The theme for our stall this year is Flower Shop. This is a plywood tree and I have decorated it using the New 2011-2013 In Colours. I have used the Beautiful Wings Embosslit and the Scallop Circle Punches. The second creation is a little frame using Cheerful Treat and Flirtatious DSP. I based it on a frame I saw at Regionals last year. 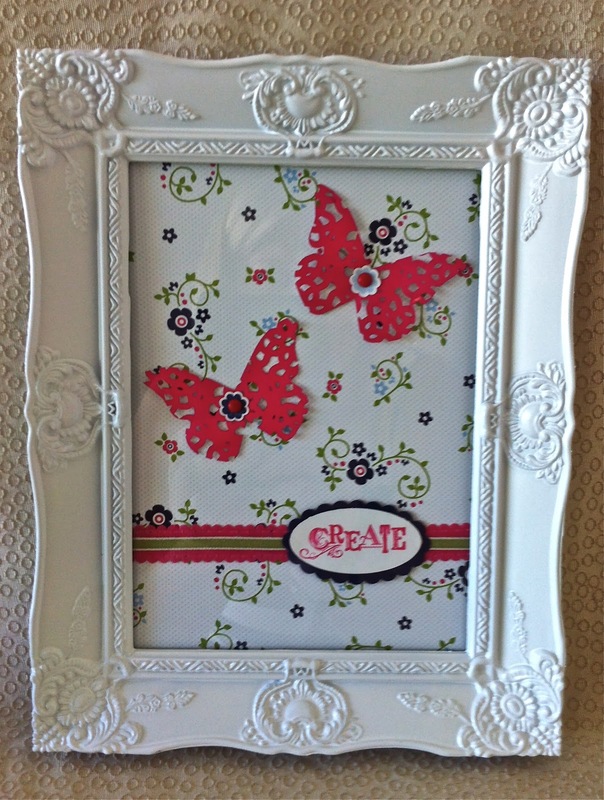 I bought the frame at the Reject Shop and added just a few elements to show off the butterflies. 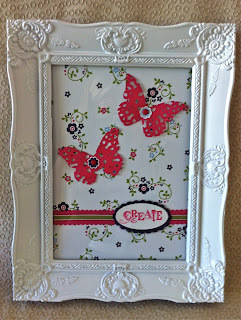 The butterflies are cut out of the doily sheet from the Flirtatious DSP using the Beautiful Butterfly Die. So what do you think? The first one took me many many hours and the second only 10 minutes.